It’s here—Fixes for the little ones in your life! 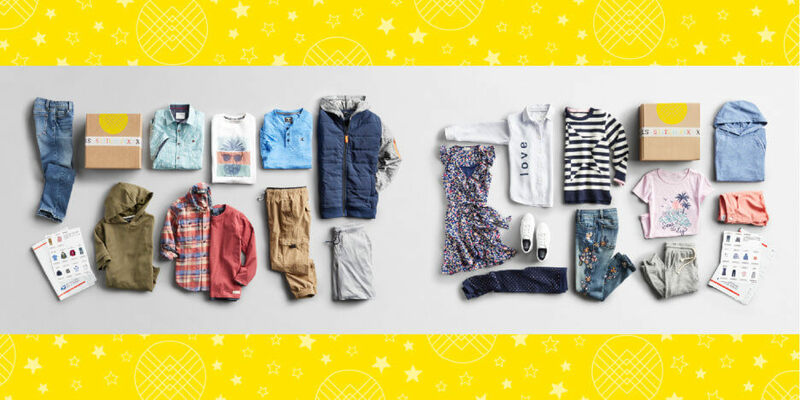 We’re so excited to be launching Stitch Fix Kids, the latest addition to the family (all pun intended). While you get ready to schedule your child’s first Fix, here’s our handy, skimmable guide on how you (and your child) can get their best Fix, every time. See how to get your best kid’s Fix! 1. Give us the scoop on your child! So it’s our first time meeting your child, give us the details! Is your son a major animal-lover who’s learning how to ride a bike? Tell us! Is your daughter starting her first day of middle school this year and loves green? Tell us! From your child’s current size, to their clothing preferences (loves leggings more than jeans? ), to what their after-school activities look like, be sure to fill out your child’s Style Profile before you schedule their first Fix. The first thing that you’ll see when you schedule your child’s Fix is their Fix Note! Think of this as your “order form” with us! This is where you’ll get specific about what you’d like this Fix to include (or what your child is looking for!). Is your child heading back to school and needs new essentials for the year? Let us know here! Does your child only wear leggings—tell us that too! One thing that kids always do? Grow. Their Style Profile should grow with them too! Be sure to keep their profile up-to-date with their latest sizes and preferences. We recommend updating it at least every three months (so set a reminder on your phone!). Leaving Fix feedback might just become your new family activity! Every time your child receives a Fix, be sure to let us know how everything fit, what you and your child liked or disliked and what they may need more of in their next shipment! The more you tell us, the better we’re able to learn about your child’s personal style (yes, they have one too!) and what they love to wear. So grab a seat with them and talk it over—just don’t forget to leave us feedback! Ready to try Stitch Fix Kids? Schedule a Fix for your child today!